The third CD by Fredrik Soegaard in the Leo Records catalogue. 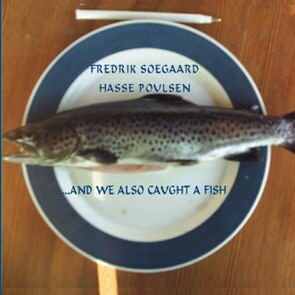 This time Fredrick plays electric guitar, MIDI fractal and Eventide H3000 while his partner Hasse Poulsen plays Guild Jumbo guitar with some prepared objects and effects.... And We Also Caught a Fish is one long, utterly original piece of music that lasts almost 65 minutes. It will be of great interest to the followers of electronic music.